A couple of weeks ago, my friend Freddie and I decided it was time for a girl’s night out. Both being fans of the movies and all things Disney, we thought an evening seeing the newest Disney release, McFarland USA, would be perfect. Although Freddie and I aren’t former high school athletes (she was in gymnastics before her high school days and I was on dance team in high school – a fun team activity, but not exactly competitive in nature), we were still looking forward to the story of the film. So we grabbed our popcorn and soda and settled in for the show! 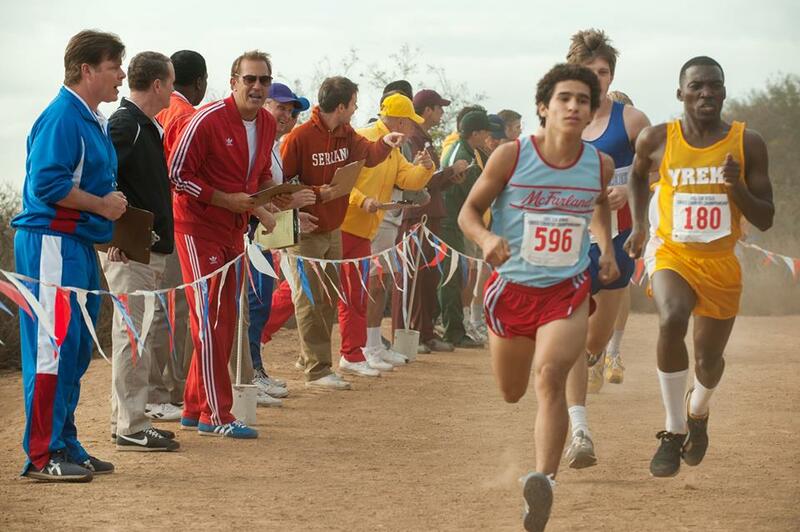 McFarland USA is based on the true story of coach Jim White (played by Kevin Costner) and the team that he puts together and eventually leads to California’s first statewide cross-country championship. The film begins with White getting fired from his high school football coaching position and relocating his family for the only job that he can find in a small rural town in northern California – McFarland. 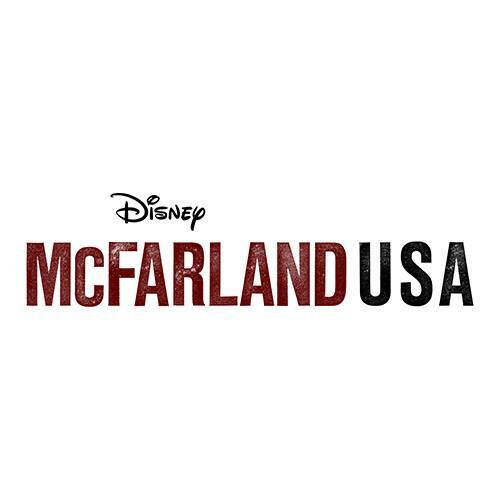 Things are rough for White, his wife, and two daughters as they struggle to begin their new life and fit in to McFarland; a town known only for its prison and fields. After some set backs at his new job, White notices one of his students running home from school and times him. He discovers that Thomas, his student, can run a five-minute mile. With his newfound information, White gets permission to start a cross-country team and puts together an unlikely group of runners that include Thomas, who is only running so that he doesn’t get suspended, and the three Diaz brothers all of whom spend their free time in working in the fields. The movie follows the story of Coach White and his team through their struggles and triumphs as they make their way to the statewide cross-county championship. Freddie and I loved McFarland USA! If you are a fan of sports movies and unlikely heroes, this film is for you. Like other classic sports films, the characters in McFarland USA go through many difficult times and have to put in much hard work to achieve their common goal. Important life lessons are learned not just by the team members, but by Coach White as well. This movie and its underlying themes of cooperation, teamwork, and inclusiveness were truly inspiring. I would recommend McFarland USA for children 8 years old and up. Due to the film’s sports theme and many male lead characters, you may find that boys enjoy it and can relate to it a bit more. I’ve included the trailer below and for more details, reviews, ratings and for help determining if it might be right for your family, please check out this link. Have you seen McFarland USA? Did you enjoy it? Please leave a comment! I know this is off topic. I just finished your new book 501 ways…… it is the best book I have ever read about how to find and enjoy the magic in the Disney bubble. I laughed, cried and thought about all the wonderful times, I have spent with my family, we share so many common experiences. Thank you for such a wonderful book, I enjoyed, reading all of your family’s up’s and downs and learning experience’s of your many vacations to Disney. It brought back so many things that we have enjoyed in Disney. Get this book, if you want to experience Disney as it was, and is and will become. Thank you for your personal anecdotes, it was such an enjoyable read. I would recommend this to anyone that is wanting to do a Disney vacation, or a fan of Disney. I will cherish this book for years to come. I really loved it too! I loved how it showed a functioning, stable poor America that you don’t normally see in the movies. I was expecting a boring sports movie and really enjoyed it.